Lorient is one of the oldest villages in Saint Barth and is one of the most charming areas we toured while on island. 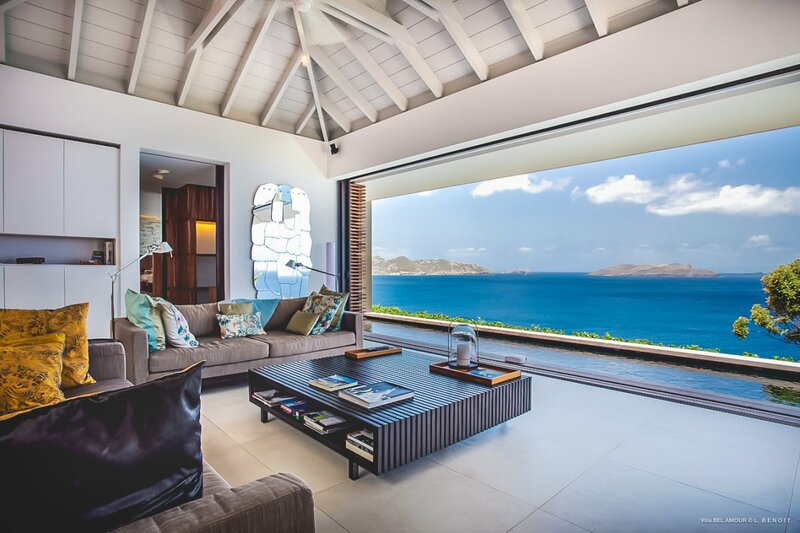 Like most of St. Barth, Lorient features a gorgeous white-sand beach that surrounds the sparkling Caribbean blue waters and is lightly peppered with stunning and charming Caribbean-style vacation homes. A recently renovated church sits atop the hill of Lorient and is used for music festival concerts in January. The beach is perfect for families looking for a quieter and less busy beach, who will appreciate the calm and clear waters. Surfers will also enjoy this popular spot to catch the rolling waves in true Caribbean-style! In the small local villas, you’ll find a few shops and restaurants and two grocery shops and a bakery, all within walking distance of the beach. There is also a small and colorful surf hut on the beach where guests can get lessons and rent boards. If you are more inclined to relax, grab a few beach chairs and spend the day letting go (clothing optional). Locals Tip: Stop by a nearby bakery or grocers and grab a Baguette and a Carib and enjoy lunch by the beach under the palm trees! 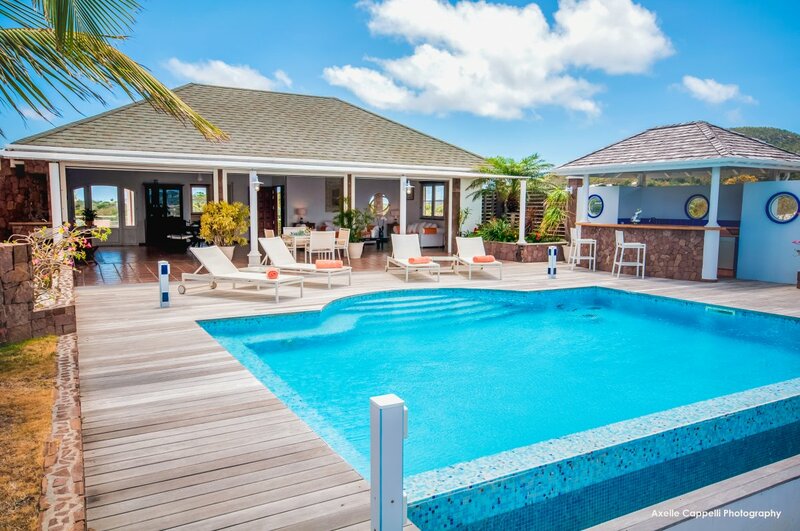 This Caribbean Villa, located in the posh Pointe Milou neighborhood, is the trifecta of Caribbean dreams - gorgeous views, an amazing infinity pool, and gorgeous indoor/outdoor living spaces. The two-bedroom, two-bath home is designed to soothe the senses and provide ultimate relaxation to our guests. Grill fresh fish on the charcoal grill, lounge by the pool overlooking islands of green floating in a sea of azure blue or enjoy a drink from the wet bar by the pool! Locals Tip: For the most fresh and delicious ingredients to use in your villa’s gourmet kitchen, stop at the Fruit Market on the weekends. We also hear this is the spot to find some of the tastiest and fresh juice on the island! Villa Moma is more than a home, it’s like a living piece of modern art, with sophisticated spaces framing world-class views. 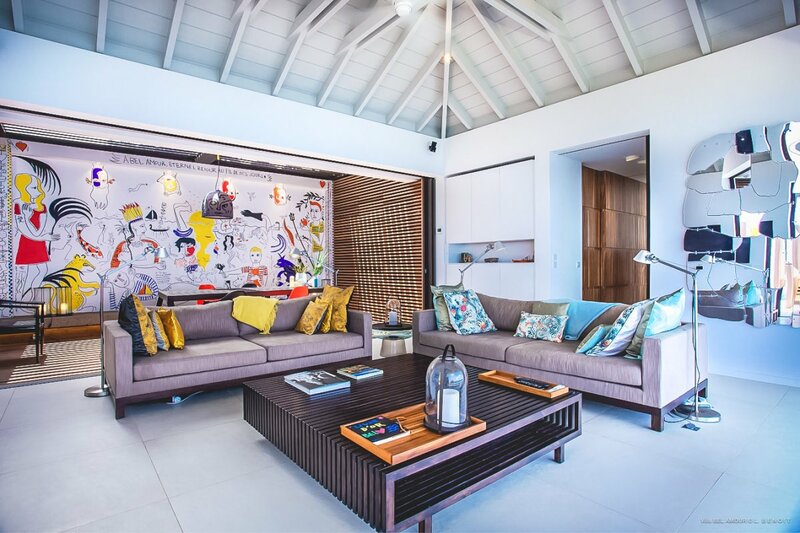 A one-bedroom villa that is perfect for a romantic couples’ getaway, this Caribbean villa was recently built and has the latest in amenities and design qualities, including designer fabrics and luxurious finishes. For those looking for privacy to celebrate a honeymoon, anniversary or milestone event, this eclectic home certainly fits the bill. This can also be a great vacation spot to pop the question, sophisticated surroundings and unparalleled views. 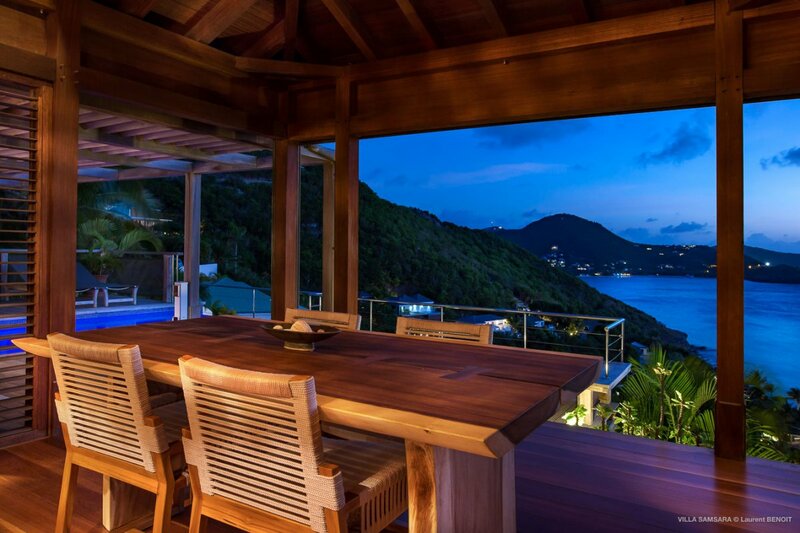 Experience the true beauty of St. Barth’s from Caribbean Breeze Villa, an elegant home that is surrounded by lush palm trees and tropical landscaping. 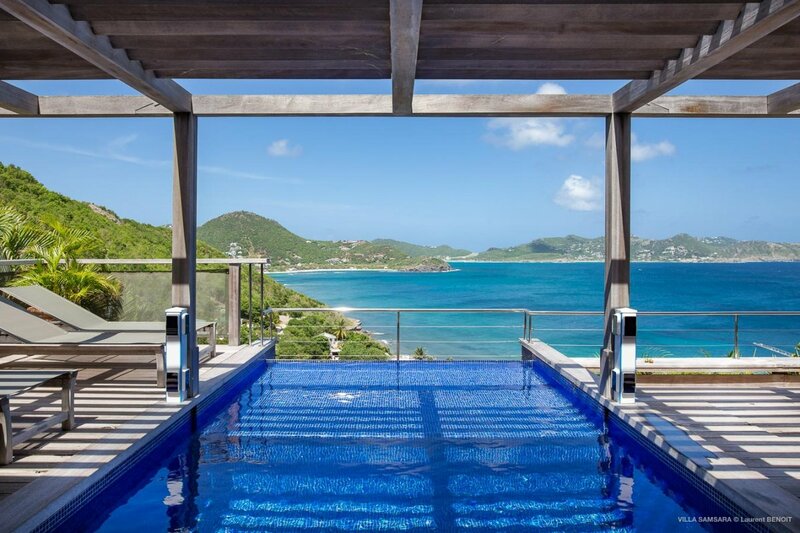 Boasting incredible views of the Caribbean Sea, the outdoor terrace overlooks the hillside and offers a spectacular view of the turquoise ocean water. Inside, the luxury vacation villa has two bedrooms, two bathrooms, and very spacious and warmly decorated shared living space. Throughout the home, guests will find Java teak and a warm color scheme that create an upscale yet inviting ambience that is great for a small family or two couples traveling together.